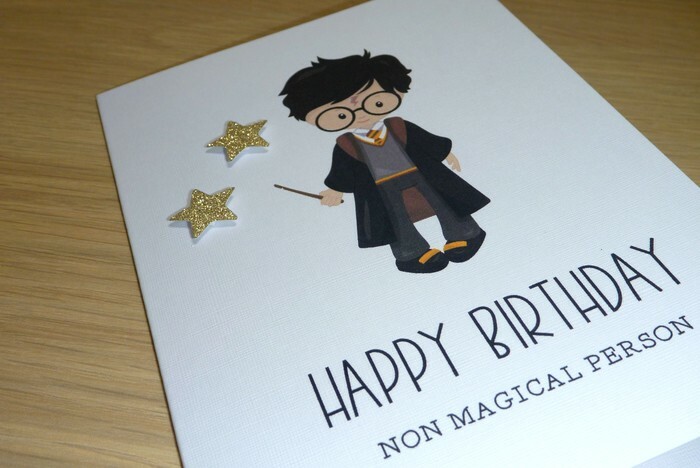 Fun card for the birthday boy or girl - perfect for the Harry Potter fans. 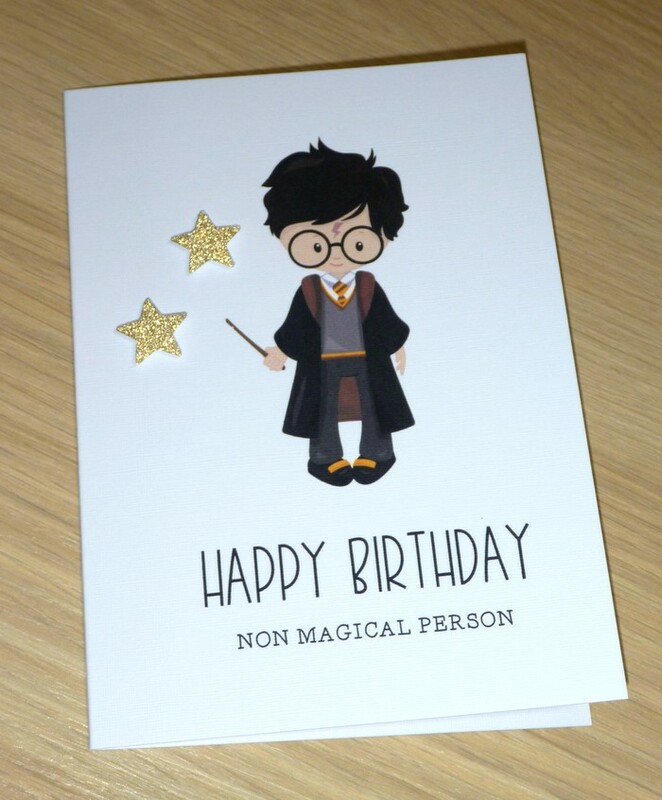 The white card features boy wizard with Happy Birthday greeting and finished with 2 gold sparkly stars which have been added to the card. Card measures approx. 15cm x 10.5cm and comes with envelope and sealed in a cello bag.